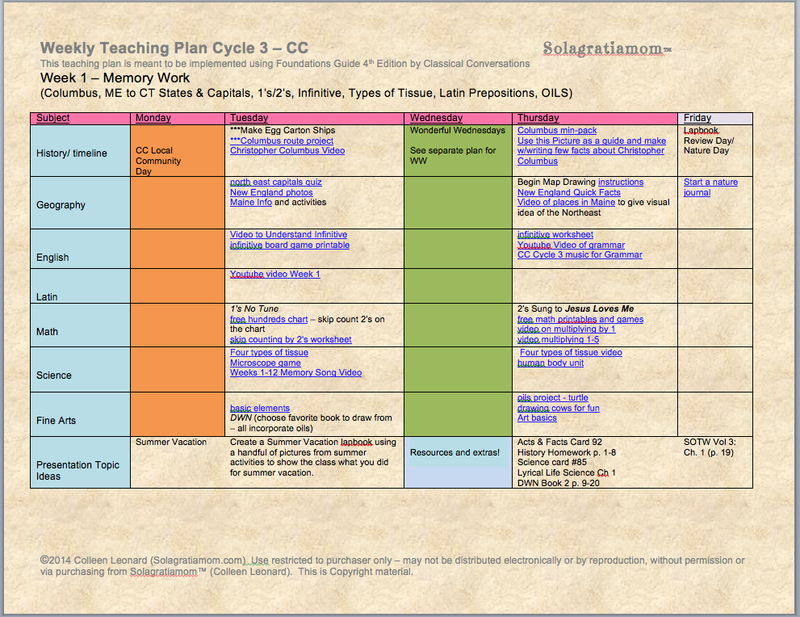 Perhaps I should have named my Teaching Plan the "Cycle X Enrichment Plan". I may just change it! It may have described the purpose better than the words "Teaching Plan". The Plan is in reference to those kids who are in the grammar stage (Foundations) so you of course, are focused on memorization. My vision for the Plan is to enrich your weekly memory work for the Foundations Curriculum Cycle (www.classicalconversations.com) as well as strengthen ties within your CC Community through the idea of Wonderful Wednesdays. So that being said, how do you use a plan like this and does it take you away or towards a classical model of education? I believe the answer depends on how you use it and how well you yourself, understand the classical model of education. Let's cover Wonderful Wednesdays first. The purpose to me of Wonderful Wednesday is to not only provide fellowship with other families in your CC Community who are working on the same memory work that week but also to step back from the normal pushed routine of a given school day and enjoy this journey and precious Foundations stage. 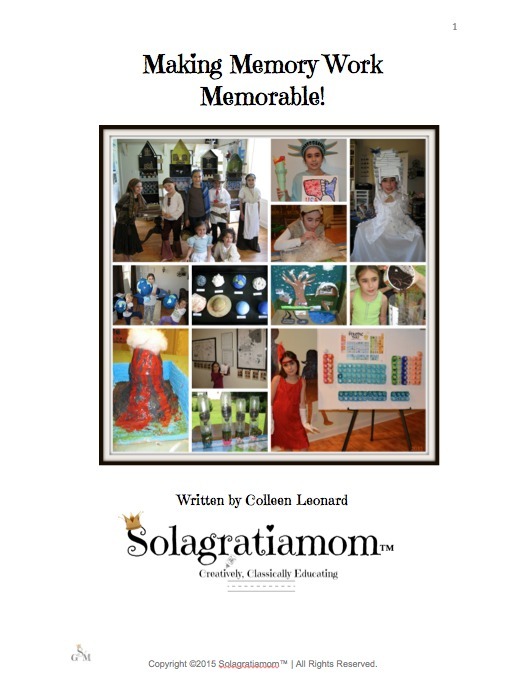 I hope to inspire you to create a memory that is fun and taps into your child's world, helping you to better know and guide your student as you return to every day school work. Many of the projects done on Wonderful Wednesdays are not just a craft or project to me but rather a perspective. They provide an opportunity to expand your child's perspective of the world he or she lives in, as they discover new insights into God's mind and creation. For example, we did projects on the different types of clouds, which help them see a deeper complexity to what they otherwise viewed as just clouds before. Now they knew there were different clouds and different purposes those clouds served in God's design. The lens they viewed the world through was slightly different now and it expanded their view of the world in a small but significant way. The purpose wasn't to memorize information about the elevation each cloud resided in or to understand the latin derivatives of each named cloud or be able to look outside and identify every cloud type they may see. Rather, it was to create a memory peg so when they recite those 5 cloud types from their memory work, they now have a rich experience filled memory that goes with that information, they likely won't forget any time soon. I can recall hands on projects I did back in elementary school that stuck with me because they involved all my senses and tapped into my imagination, locking themselves in my memory for life. Every day however, shouldn't be like this -nor every subject! You'd wear yourself out and stray from the purpose of a classical education. This is just a piece of the pie, that is geared towards the younger kids at the Foundation level that don't have the looming assignments and pages of literature to be read and write about but rather, have days that are open to creativity and expanding their world on a given subject. So what about the links that are in the Teaching Plan? How do you use them? Well those are two fold. Some of the links are for you the Parent/Teacher - to help give you additional information yourself and deepen your own understanding on a given topic. The classical model has us learning alongside of our children - for some of us it's more so than others. I take that into account as I write these plans. You may or may not want to share part of that information with your child, paraphrasing it in kid like terms. Since many of us are learning alongside of our children as I mentioned, it can help to brush up quickly on some of the topics on the memory work in order to answer your child's curiosity/questions. The other links are to give you ideas and ways to create a hands on memory peg using various mediums (games, videos, arts & crafts, projects, worksheets, music etc.) but not every subject needs to be done and depending on the ages of your kids, shouldn't be done. If your child has an interest in space for example, then I'd focus most of my creative time and arts/experiments/crafts/projects on that theme for the year. That's the beauty of homeschooling - we can cater to their interests, especially at these younger years and help them develop a love of learning. I peruse through all the links that I put together for everyone and I figure out which ones I think will be of interest to my child or I want to expose her to. I use the ideas to come up with my own idea on how to help aide her memory or create a memory together. I also do the things I feel will tie together another Cycle or give her a better understanding on a topic we've touched on before. I also adjust the depth of information based on her aptitude and attention span for the topic. If it's a second time through a Cycle, then we may go deeper on things she has interest in or already has memorized from the last time we did it. Again, it's not for the purpose of her needing to "know" any of it - we are still drilling and just working on the memorization piece as our focus. I'm just exposing her to lots of information and whatever sticks - sticks and I don't worry about it if it doesn't. She'll see it all later the 2nd time through that Cycle or eventually at the Challenge level where she'll actually do something with the information at that point. However, days are long and I'd rather fill her afternoon with a messy or creative project on a topic of the memory work than to have her do something less constructive with her time. The Teaching Plan is meant to be a way to enrich your time through the current Cycle, providing ideas and information that allow you to increase your child's knowledge on a given topic of the memory work rather than just adding another curriculum to run alongside of CC. The idea is to know the information we're studying deeply and master that information, not survey lots of information that's available out there to our children. So to me this is a way I do that. I use the variety of ideas out there and just create a lot of exposure to the various topics of study in our Foundations Curriculum. 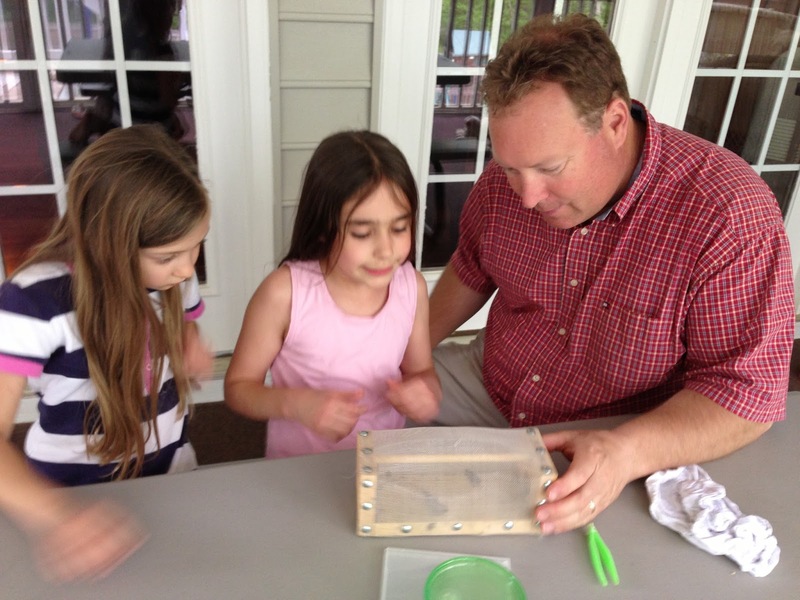 Nature Day - why do it and how? I love nature walks and observing nature. It's such an evidence rich environment that speaks to the order and existence of God. It also allows you to tie together many subjects and points everything back to God. For example, we might go on a walk and discover a ladybug. In our stopping to examine this creature God has made, we can discuss math as we talk about the number of dots on his back and wonder why that number was chosen for the ladybug and how there are different species of ladybugs with different numbers. We can discuss art as we talk about symmetry, it's color and God's magnificence as The Original Artist. We can talk about history and discuss geography as we talk about cultures that held myths surrounding the ladybug or what ladybugs live where. We can use skills of research and science as we take a picture and try to match the ladybug species online and discover it's scientific name etc. You get the point. I think it's an easy way to integrate subjects when you're outside with your kid and I highly recommend it. It is also a time to really enjoy - you have Foundation aged kids for only a short while. This is great stuff for that age/stage of development. There will be TONS of time to be cracking at the table with subjects for the remainder of their educational careers! To summarize, I hope that the Teaching Plans will be an enrichment to an already exceptional program. I also hope it will help families not feel the pressure to run curriculums alongside of an already exceptional and full curriculum if they are left feeling like they could be doing more. It's a freeing concept once you get a hold of what Leigh has provided for us and "trust the model" so to speak. I also know that there are many hands on learners at the younger ages and Mommas that are crafty and enjoy doing hands on learning with their kids too, but don't have the time it takes to research it all - so this provides that option to them. I wanted to inspire families to take what Leigh already has provided and do what they love and their kids enjoy, to inspire you both as you move through the Foundations years and make memories in the process. If you haven't already done so, I would recommend that you read Echos in Celebration or The Core to help you understand the big picture and what a classical education looks like. Many of us didn't have the benefit of a classical education ourselves and we'll be learning alongside of our kiddos for a while as we move through this model together. Help you have Teaching Plans wk 1-12 and Wonderful Wednesdays wk 1-24 available to purchase. Are they the same things just one is half and one is total? or are they different plans? They have different titles. Does one of them contain the other or are they two different things. thanks, I didn't find a place on the blog to ask these questions. Hi, Just wondering if we could see a sample schedule with live links? Also, does this plan require the purchase of any books/resources other than CC Foundations materials? I read that "Wonderful Wednesdays" uses a lapbook project, so would this be another required resource? I wanted to send you an email, but I did not see a place to do so. What a great resource. Start saving my money for this! So thorough and organize! Sometimes, that becomes a stretch!